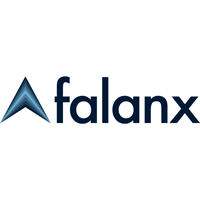 The trading price for Falanx Group Ltd EPIC code: LON:FLX has risen 8.26% or 0.23 points during today’s session so far. Investors have so far held a positive outlook during the trading session. The periods high figure was 2.95 and hitting a low of 2.69. The amount of shares exchanged has so far reached 60,000 with the average number of shares traded daily being 610,013. A 52 week high for the stock is 6.19 some 3.46 points difference from the previous days close and the 52 week low at 2.03 making a difference of 0.7 points. Falanx Group Ltd now has a 20 moving average of 2.53 and the 50 day moving average at 2.62. Market capitalisation is now £11.81m at the time of this report. The currency for this stock is Great British pence.Market cap is measured in GBP. This article was written with the last trade for Falanx Group Ltd being recorded at Monday, April 8, 2019 at 11:25:50 AM GMT with the stock price trading at 2.95 GBX. Shares of 4d Pharma PLC company symbol: LON:DDDD has risen 3.6% or 4 points throughout the session so far. Investors have remained positive throughout the trading session. The period high has peaked at 115 dipping to 111.6. Volume total for shares traded at this point reached 19,078 while the average shares exchanged is 84,868. The stock 52 week high is 250 equating to 139 points different to the previous business close and a 52 week low sitting at 76.99 is a variance of 34.01 points. 4d Pharma PLC now has a 20 moving average of 119.51 and now the 50 day SMA of 116.94. The current market cap is £75.32m at the time of this report. The stock is traded in GBX. Mcap is measured in GBP. This article was written with the last trade for 4d Pharma PLC being recorded at Monday, April 8, 2019 at 11:46:07 AM GMT with the stock price trading at 115 GBX. 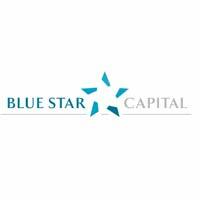 Stock in Blue Star Capital PLC ticker code: LON:BLU has increased 7.32% or 0.02 points throughout the session so far. Buyers have so far held a positive outlook during the trading session. The periods high figure was 0.22 and hitting a low of 0.2. The number of shares traded by this point in time totalled 2,604,557 while the average shares exchanged is 10,465,452. The 52 week high price for the shares is 0.29 which comes in at 0.08 points in difference on the previous days close and a 52 week low being 0.13 a difference of some 0.08 points. Blue Star Capital PLC now has a 20 moving average of 0.17 and now the 50 day moving average at 0.16. The current market cap is £4.38m at the time of this report. The currency for this stock is Great British pence.Market cap is measured in GBP. This article was written with the last trade for Blue Star Capital PLC being recorded at Monday, April 8, 2019 at 11:29:50 AM GMT with the stock price trading at 0.22 GBX. Stock in Fresnillo Plc found using EPIC: LON:FRES has stepped up 1.18% or 10.45 points throughout the session so far. Investors have so far held a positive outlook throughout the session. The periods high has reached 897.8 dipping to 884.6. Volume total for shares traded during this period was 184,355 while the daily average number of shares exchanged is 1,790,500. A 52 week share price high is 1364.5 which comes in at 480.1 points difference from the previous days close and putting the 52 week low at 737.6 is a variance of 146.8 points. Fresnillo Plc has a 20 day moving average of 849.32 and a 50 day moving average now of 908.42. The current market cap is £6,594.09m at the time of this report. The share price is in GBX. Mcap is measured in GBP. This article was written with the last trade for Fresnillo Plc being recorded at Monday, April 8, 2019 at 12:03:04 PM GMT with the stock price trading at 894.85 GBX. Click BLU DDDD FLX FRES for the full archive.